With the holiday season already in full swing, I've been inspired by all the gifts I've seen on the shelves. Honestly, it's never too early to me. I can't resist. As a college freshman, you come to know the things you depend on, and the little things that you appreciate during the day. 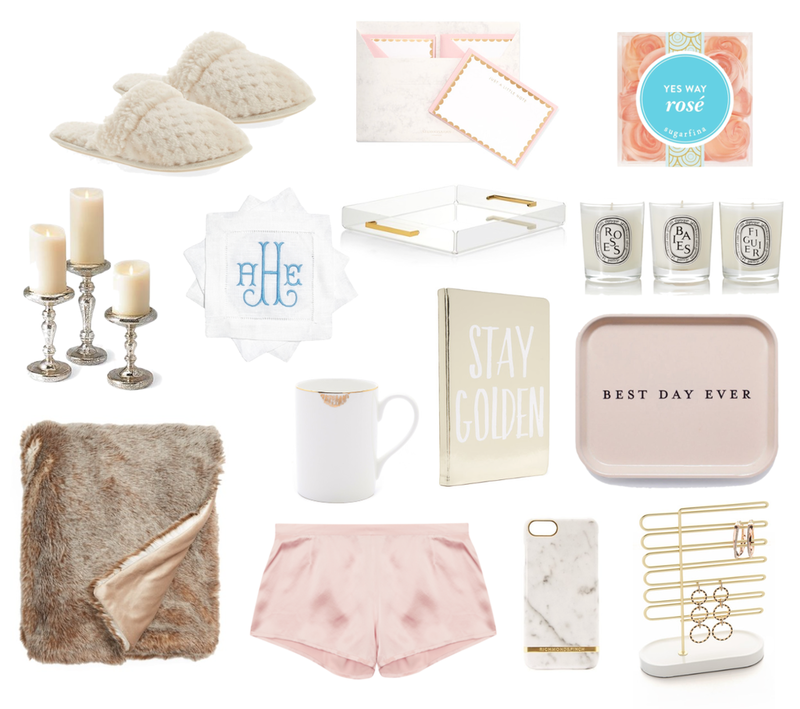 These home items (minus the candles) can be easily used in a dorm setting. The Baies candle from Diptyque also comes in a room spray, amazing right?! Many of these items can be used as a hostess gift or a stocking stuffer. The monogrammed cocktail napkins couldn't be more chic, and I don't know who could resist cozy slippers and silk pajama shorts.